So here we have two examples of nail shades from the brand – and both leave me suitably impressed. The dark shade called ‘Jake’ is gorgeously pigmented and smooth to apply. With a very glossy finish. Then the silver with multi-coloured sparkle polish called ‘Tayla’ is dense with glitter and two coats creates decent coverage. 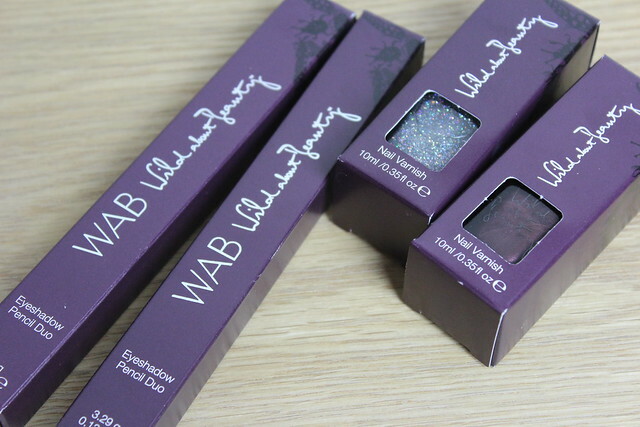 This works best as a sparkly top coat rather than as a colour in itself. 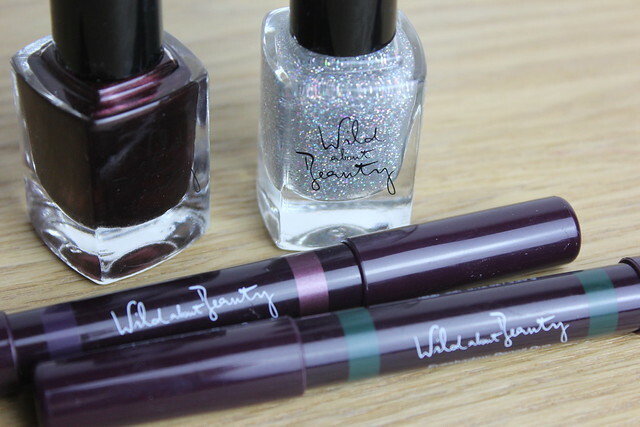 Despite an early prediction that the sprakly nail polish would be my favourite I have to say my pick of the collection is the darker shade nail colour – it’s just the perfect AW 2013 shade and the quality is flawless… which of these catches your eye!? On a slight aside – I love how each of the products in the range is named after someone Kim or Louise know – it’s a cute, personal touch! 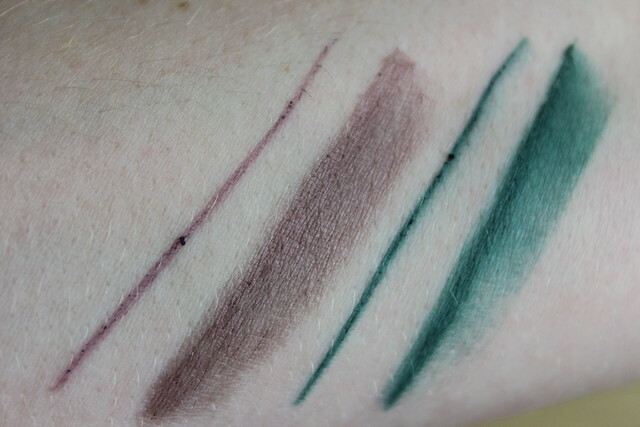 That green duo pencil is amazing! I need that colour! !